Our latest report on the catastrophe bond and insurance-linked securities (ILS) market has now been published. The report, ‘Q2 2017 Cat Bond & ILS Market Report – First double-digit year ahead, $10 billion imminent’, analyses the biggest single quarter ever for cat bonds, with $7 billion of issuance driving the market to $29.3 billion in size. This report reviews the catastrophe bond and insurance-linked securities (ILS) market at the end of the second-quarter of 2017, looking at the record level of new risk capital issued and the composition of transactions completed during Q2 2017. As in the first-quarter of 2017 catastrophe bond and ILS issuance in Q2 broke records, with over $7 billion of new risk capital brought to market ($7.001 billion to be exact) from 29 deals, made up of 55 tranches of notes. The Artemis Deal Directory shows that Q2 issuance is only $52 million less than full-year 2016 issuance and, combined with Q1, takes H1 2017 issuance to $9.761 billion, the most ever witnessed in a single year. Second-quarter issuance featured a broad spectrum of both new and returning sponsors of catastrophe bond and ILS transactions, including some unknown sponsors of private deals. Twelve tranches, or roughly $412 million of notes issued during Q2 were privately placed as investors become increasingly comfortable and con dent with this type of deal structure. In the second-quarter of 2016 catastrophe bond and ILS issuance failed to reach $2 billion for the first time since 2011, so quite the contrast from the huge $7 billion of issuance witnessed in the second-quarter of this year. The strong issuance pipeline in the second-quarter of 2017 on the back of a record-breaking first-quarter has resulted in the outstanding catastrophe bond and ILS market ending Q2 at a new record, of $29.3 billion. In terms of number of transactions, the 29 brought to the catastrophe bond and ILS market in the second-quarter of 2017 is the most ever seen during the period, and above the ten-year average of 13. The average transaction size, of $241.4 million average transaction size recorded in Q2 2017, is roughly $40 million higher than the ten-year average. April, May and June, 2017 were all record months, for risk capital issued, combining to bring the $7 billion to market. Issuance in April was almost $1 billion above the ten-year average for the month, while May, which is typically the busiest month of the period, saw issuance levels surpass the ten-year average by over $2.1 billion. Issuance in June was more than double the ten-year average of $572 million. Indemnity protection dominated Q2 issuance, with sponsors securing more than $4.5 billion of indemnity protection, accounting for approximately 65% of new risk capital issued. The second-quarter of 2017 saw a broad range of perils brought to the ILS market, with cat bond investors welcoming the opportunities to add diversification to their portfolios. Our report features a full breakdown of the catastrophe perils issued. Issuance in the second-quarter of 2017 saw the highest volume of new risk capital come to market than any other quarter since the market’s inception, roughly 20 years ago. Over $4.8 billion of maturities occurred during Q2 2017, but $7 billion of total issuance ensured the catastrophe bond and ILS market achieved outright growth, once again. At the end of the second-quarter of 2017 the outstanding catastrophe bond and ILS market totalled $29.3 billion, which is growth of over $2.1 billion from the end of Q1, and is more than $2.48 billion higher than at the end of 2016. 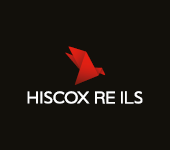 H1 2017 issuance reached a huge $9.761 billion, making it the most active year for catastrophe bond and ILS issuance ever recorded, at just half-way through the year, and beating the previous record by $667 million. Despite what some see as persistent re/insurance market headwinds, it’s clear from the record-breaking first-half of 2017 that catastrophe bonds and ILS remain an attractive asset class. With sponsors having shown such an appetite for catastrophe bond coverage in Q2 and the ILS investor base having responded so strongly, the prospects for the remainder of 2017 look bright. With two catastrophe bonds amounting to at least $420 million already in the pipeline and set for completion in early July, the 2017 issuance total will pass the magic $10 billion mark very early in the third-quarter, based on Artemis’ data. It’s going to be interesting to see just how high that can go, given the clear competition ILS and cat bonds are providing for reinsurance in 2017. A market of over $30 billion in size seems highly likely this year, as the catastrophe bond market continues to break all its previous records in 2017. 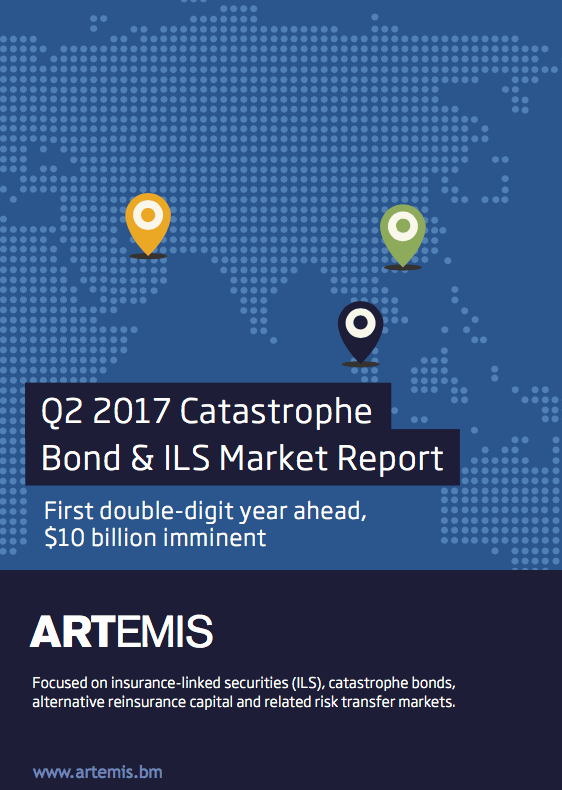 For full details of the second-quarter, including a breakdown of the issuance by factors such as perils, triggers, expected loss, pricing, and analysis of the issuance trends by month and year, download your copy of Artemis’ Q2 2017 Cat Bond & ILS Market Report here. For copies of reports from previous quarters, visit our archive page to download them all. Just over one week until our ILS Asia 2017 conference, get your ticket now.